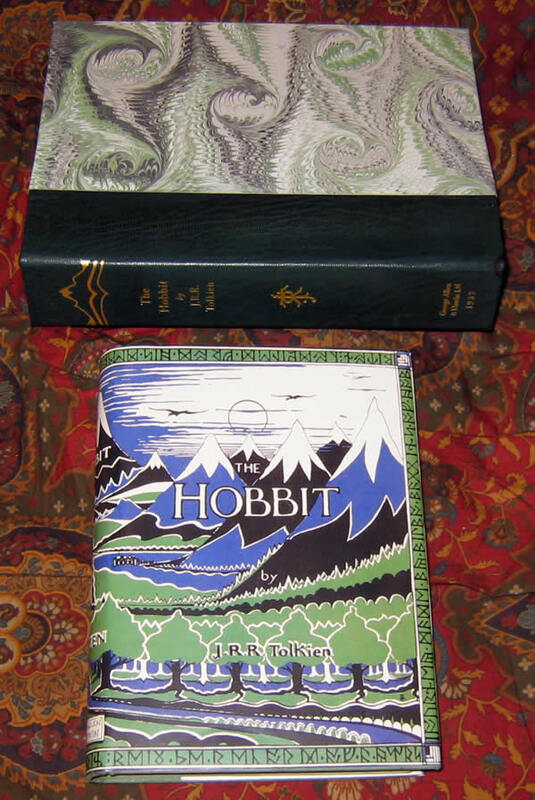 1st UK Edition The Hobbit 1st impression - Very first edition of the Hobbit, the desire for every serious Tolkien collector. 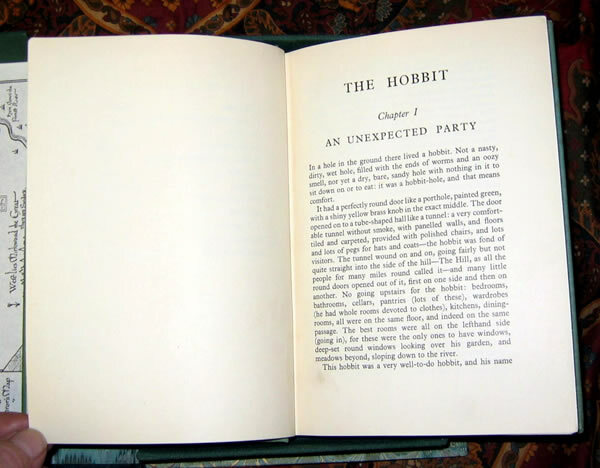 First Edition, First Impression. 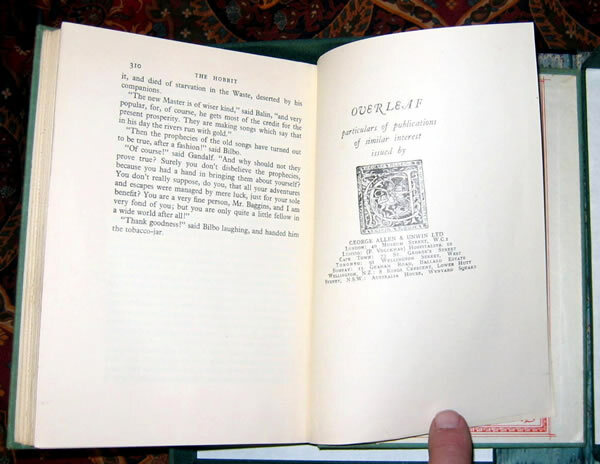 One of only 1,500 copies printed for the first publication of the author‚s first novel. 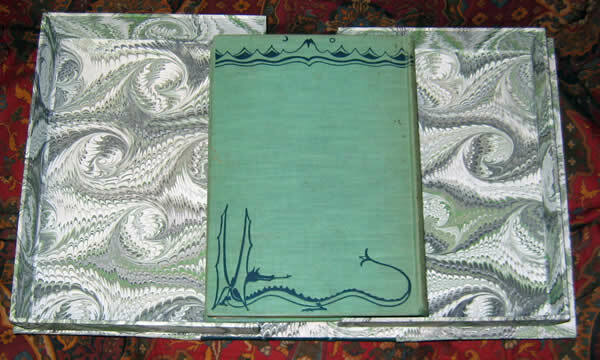 Facsimile of the first issue dustjacket with the hand correction in ink, of the 'e' in the misspelt 'Dodgeson', on the rear flap. 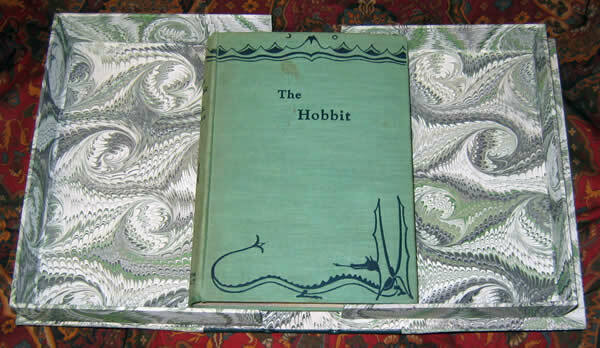 Original green cloth, titles and Tolkien's own 'Mountains and Dragon' design to spine and both boards in blue. 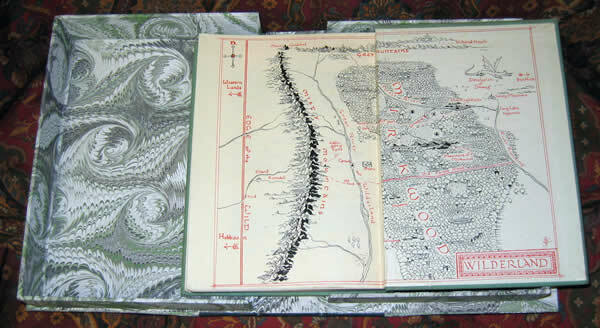 Very nice and clean map endpapers, front and rear. 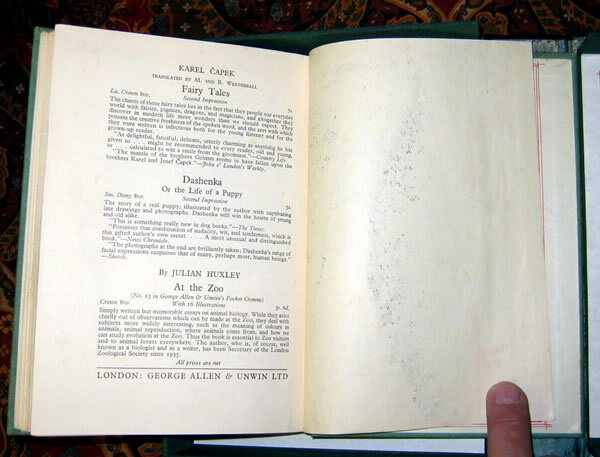 The slightly faded green top stain is still evident, with a spot/drip mark noted. 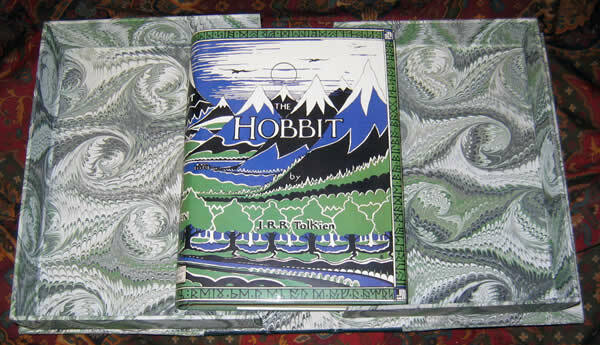 The Tolkien designed dustjacket (facsimile) and the book are housed in a custom green quarter morocco leather clamshell case with gilt stamped mountains, title, author, and JRRT monogram to spine. 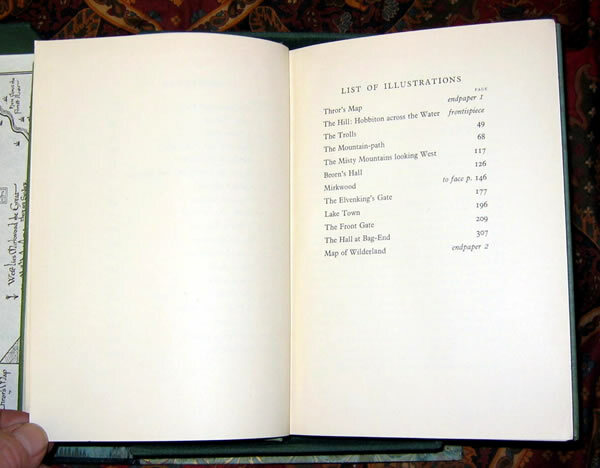 Frontispiece and 9 other illustrations in black and white by the author. Spine a little toned, with a little wear of the cloth at the base of the spine. 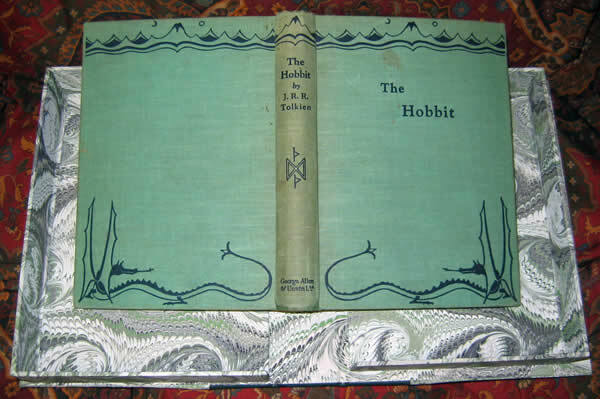 The rest of the cloth is only lightly soiled, with a spot to the front panel above the title. 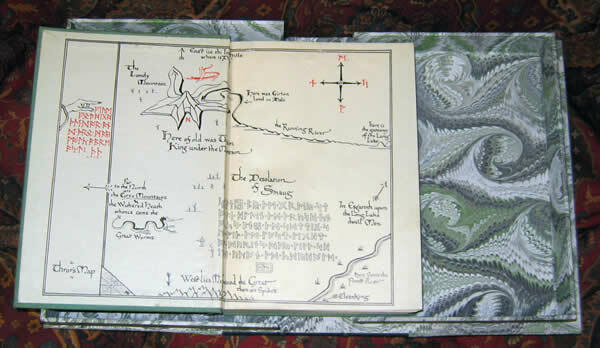 Still a nice square copy, without names or writing. A very nice 1st Impression without any restoration. 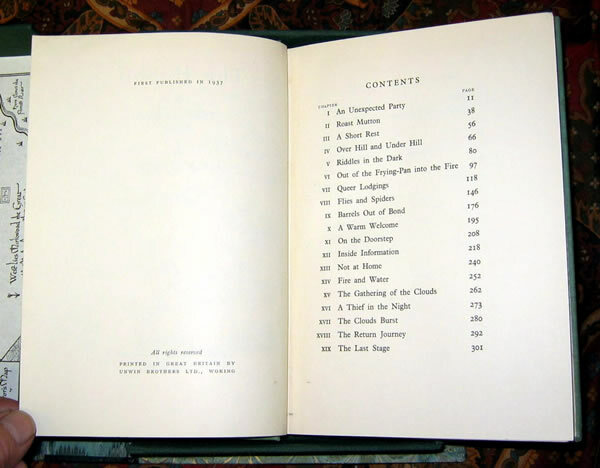 Text block is very clean and white, no foxing, neat and clean. 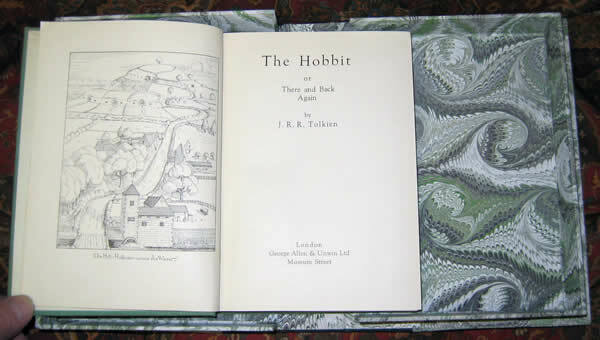 One of the classics of 20th Century Literature.